The first and only Catholic coloring Bible for all your creative reflections! 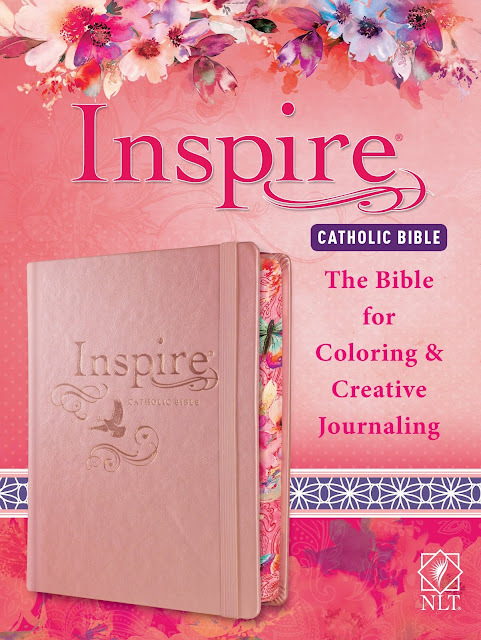 I received a free copy of this product by Tyndale House Publishers in exchange for writing a review. All opinions are my own. This gorgeous book oozes personality and pizzazz, all right, even before you crack the thing open for the first time! 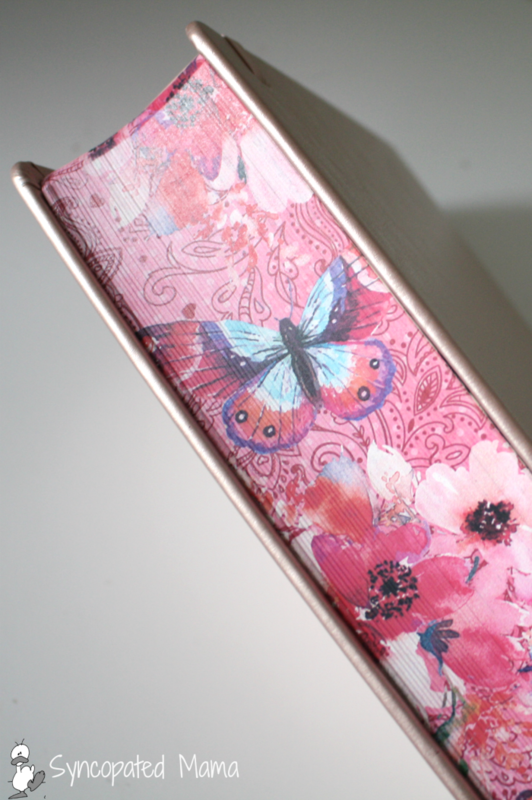 Despite the over-the-top girly-ness of those page edges, the rest of the outside keeps things subdued with its beautiful, metallic dusty rose cover that includes one of my favorite features in an interactive book like this that you're constantly reading: an elastic band to keep it all closed up nicely! 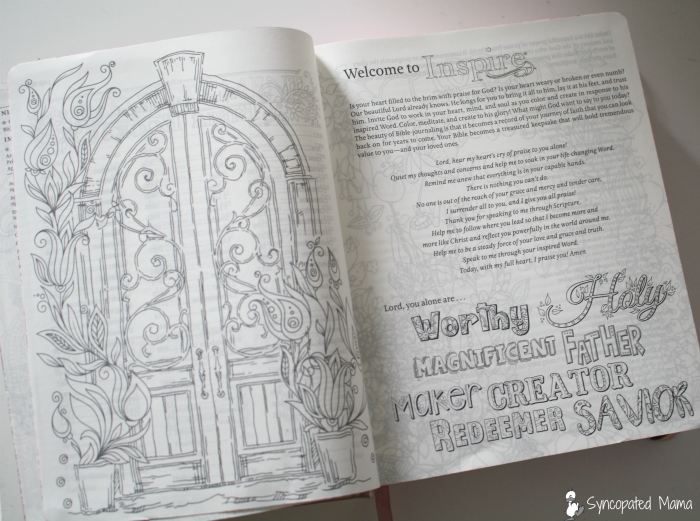 As you open the cover, you'll discover several pages filled with Scripture line-art illustrations to begin coloring right away. 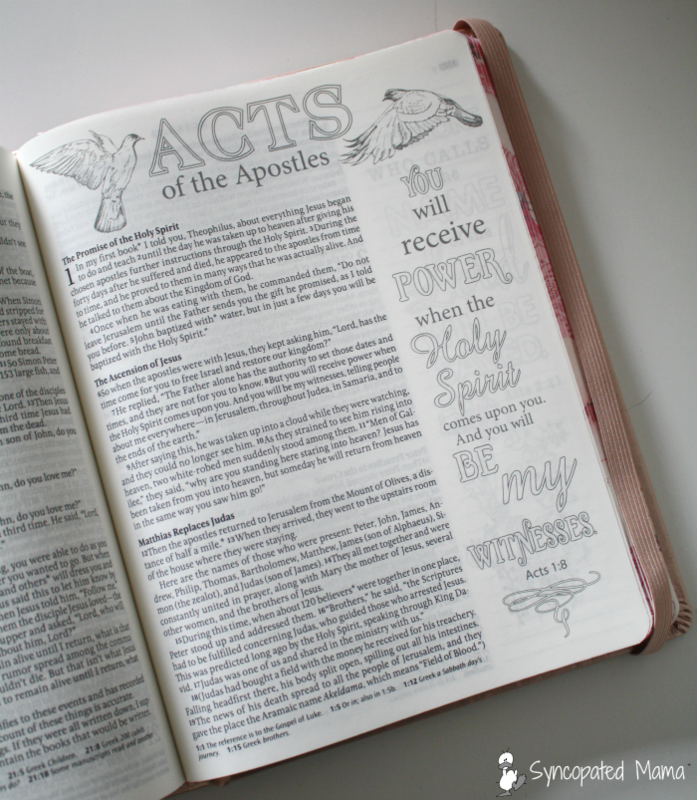 Following the contents sections are notes introducing readers to the Inspire concept as well as a foreword that helps provide background into the book's New Living Translation. Even the informational pages are inspiring! The rest of the pages are filled with over 450 illustrations to color, two-inch-wide lightly ruled margins for notes and original art, and an 8.65-point font that is larger than that used in many other creative Bibles out there. 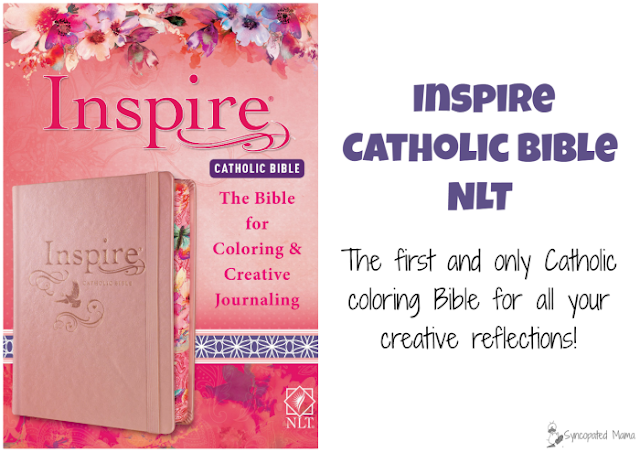 Art to color or space to create your own! A ribbon bookmark tops off the features of this pretty Bible, along with an index of all the verse art that is found inside. While the pages are printed on quality paper, you'll probably want to stick to colored pencils, as felt-tipped pens would probably bleed through. 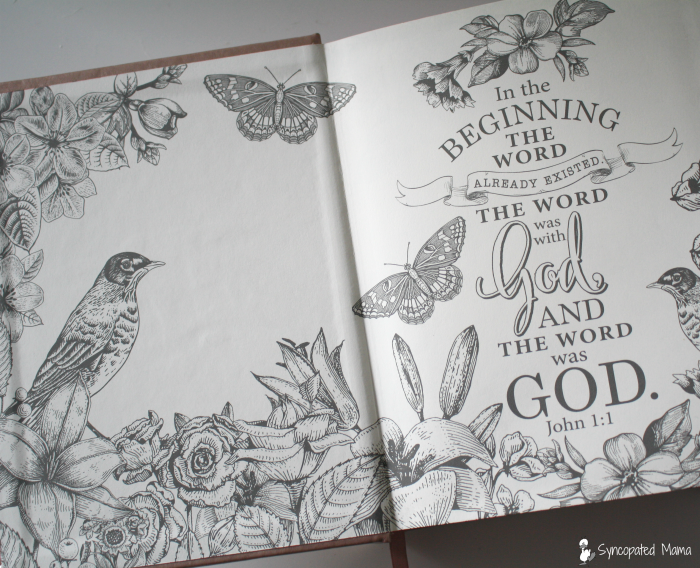 I have to admit, this Bible is not my taste at all -- the last thing I want decorating anything in my possession is a bunch of frilly flowers and butterflies, especially on something that I'll be using day after day! But just because I'd prefer something plaid or striped or filled with geometric shapes doesn't mean this book is a bad choice -- it is perfect for the other 99.9% of women out there who love frills and flowers and intricate illustrations like found in this author's picture books! 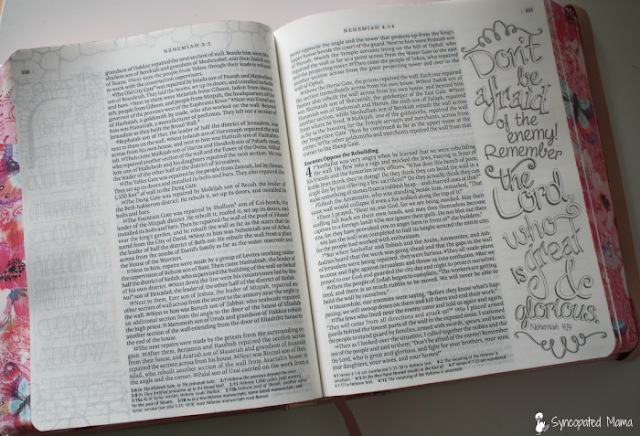 This Bible would make the perfect gift for any woman who appreciates beauty and enjoys a bit of creativity with her devotional time. 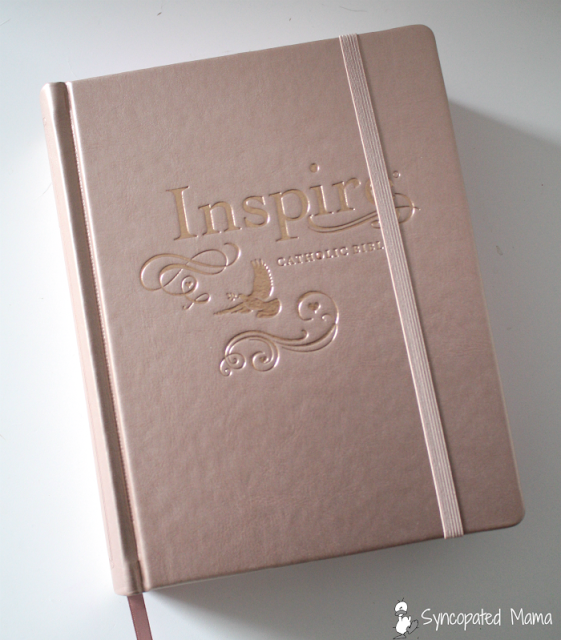 Get your copy here and inspire someone special today! Do you enjoy Bible journaling and coloring? I'd love to hear! Either leave a comment below or email me at lisahealy (at) outlook (dot) com.